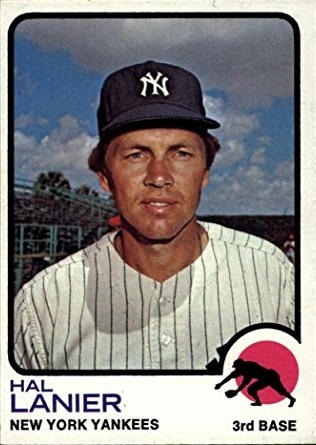 Happy Birthday to Hal Lanier, who was my Yankee teammate in 1972 and 1973. Hal came from a baseball family; I remember listening to Cubs games on the radio when I was a kid growing up in Chicago and Max Lanier was a pitcher for the Cardinals. The Yankees purchased Hal’s contract from the Giants a few weeks before 1972 spring training began, and I met him for the first time when he reported to Fort Lauderdale. During a road trip to Tampa, Hal took me to the racetrack and introduced me to his Dad. The first time we played together was on April 29, 1972 against the Twins at Yankee Stadium. I pitched eight innings, struck out four, and gave up two runs and six hits. But that wasn’t enough to stop Jim Kaat and Dave LaRoche, who combined for a four-hit shutout. Hal was 0-for-three. The 1972 season began miserably for me; I began the season 0-6 and didn’t win a game until May 21. Hal was a smart guy, fun to be around. He was a good fielder, which helped because you didn’t keep him on the team for his bat. 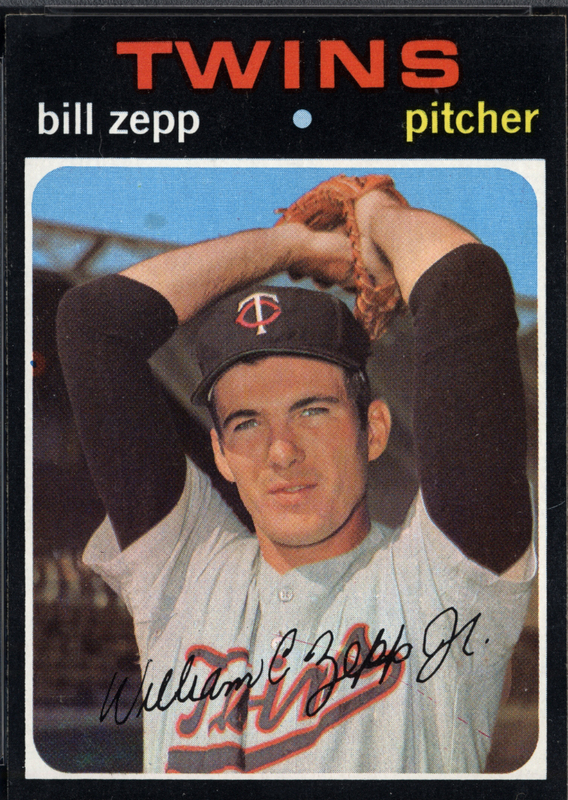 He hit .214 in 1972, with no Triples or Homers and just six RBIs. But there was one game during the summer when he drove in two runs against the Red Sox. If there was ever a time to be on, it was when you were playing Boston. His last game as a Yankee was on September 30, 1973. It was a Sunday afternoon at Yankee Stadium, it was the last game of the season and we were facing the Tigers. As I talk about in my book, this was vintage “Horace Clarke Era” baseball; we were in 4th place in the AL East, 16 ½ games out of first. I was the Yankee starter; on the mound for Detroit was a September call-up named Fred Holdsworth. We took the lead in the second after Bobby Murcer scored on Otto Velez’s double, and held it until I have up a two-run homer to Marv Lane in the seventh. We regained the lead in the seventh off a leadoff homer by Duke Sims and a key RBI single by Celerino Sanchez. In the eighth, we added an insurance run when Hal Lanier hit an RBI double. I gave up hits to the first two batters in the ninth, Ike Brown and Tom Veryzer, and Ralph Houk brought Lindy McDaniel in to close. It was almost 42 years ago and this one is still a little painful to talk about. Lindy got clobbered and we went into the bottom of the ninth down 8-5. John Hiler, who was a pretty awesome closer, ended the game with a 1-2-3 inning. The Yankees released him after the 1973 season, and he moved on the coaching and managing. He was the Houston Astros manager in the mid-1990’s. Hal is a half a year younger than me, and he’s still in baseball. I heard recently that he landed a gig as manager of an independent league team in Ottawa, Canada. They are lucky to have him.